the airplane image and text. Occupational hazards…. Even when months or years pass since you were last an expert in your field, isn’t there some glimmer of professional curiosity the rears its unruly head in the oddest of places? 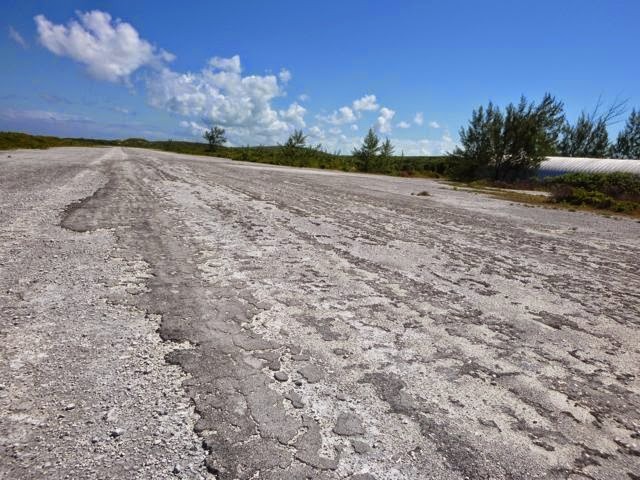 runway at Lee Stocking Island Exumas. 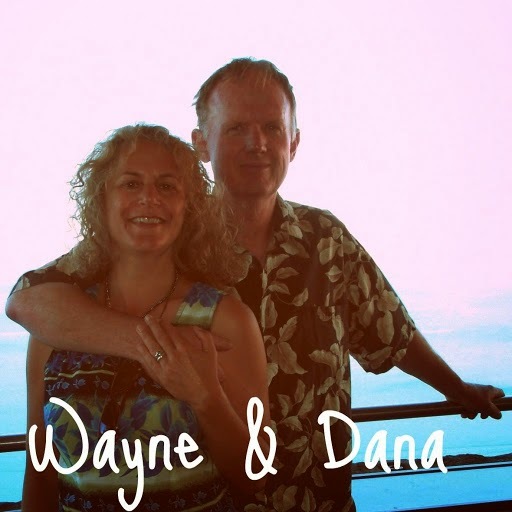 In Wayne’s case, it’s hard to shake off all remnants of 20+ years as an aircraft mechanic – even when we’re traveling the Bahamas on our sailboat. We’re drawn to airports like ripcords are to parachutes, and it seems, goats to airstrips, but then, I’m getting ahead of myself…. 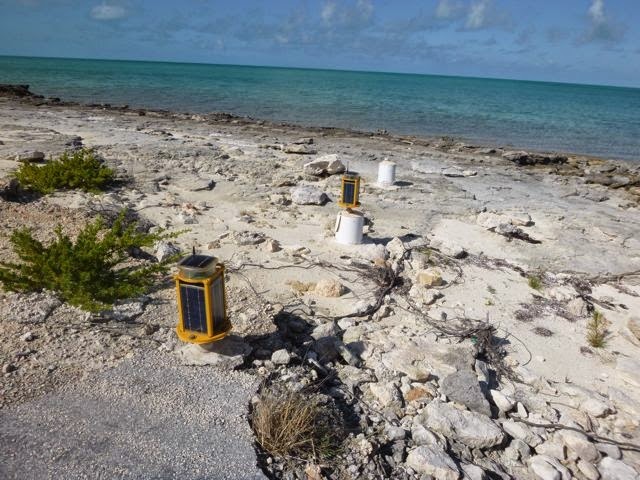 Farmer's Cay airport's solar runway lights. It amuses us to find airports on small islands with sometimes few or often no amenities, like running water, electricity (unless maybe it’s running off a generator) much less a grocery store, a post office, etc. 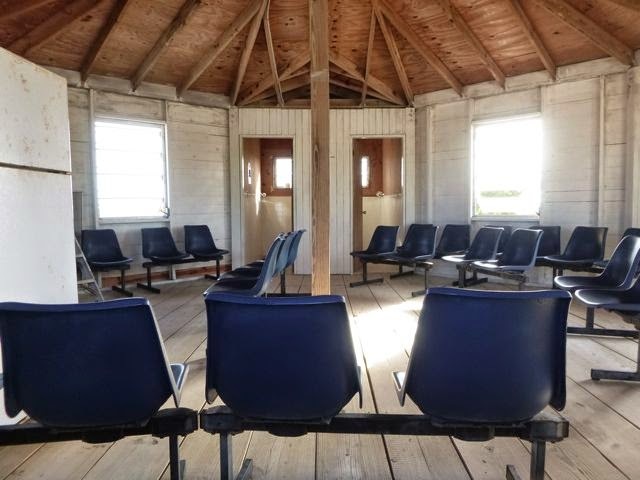 Now we haven’t flown into the Bahamas ourselves and thus we have no observations about more popular airports such as Nassau, or Grand Bahamas, Georgetown or Marsh Harbour, Abacos. What are these little airports like? Duncantown airport's cheery welcome sign. 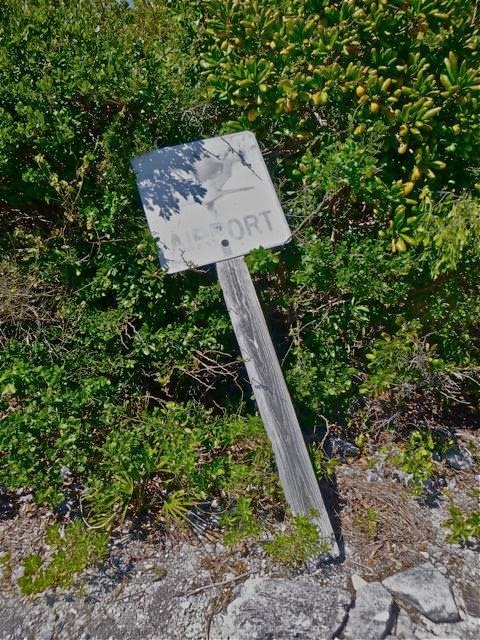 The state of their airport sign was a good indication…. Doesn’t appear to be a going concern anymore though there was a hanger… rotting away and filled with debris. The landing strip was cracked and many a plant decided the runway was as hospitable as much of the island’s other sandy stretches. A pretty nice runway with remotely operated landing solar powered landing lights – pilots are able to trigger them on from their planes as they approach the landing strip. Decent runway, too. Landed near a restaurant / bar / resort; which we've noticed is a common and logical location for a number of small island airports. for a town with a population of 70. Our favorite… recently repaved, also featuring remote solar landing lights, a cheerful recently repainted welcome sign, a bona fide enclosed terminal waiting area, a baggage cart (of sorts), a windsock and goats on the runway. 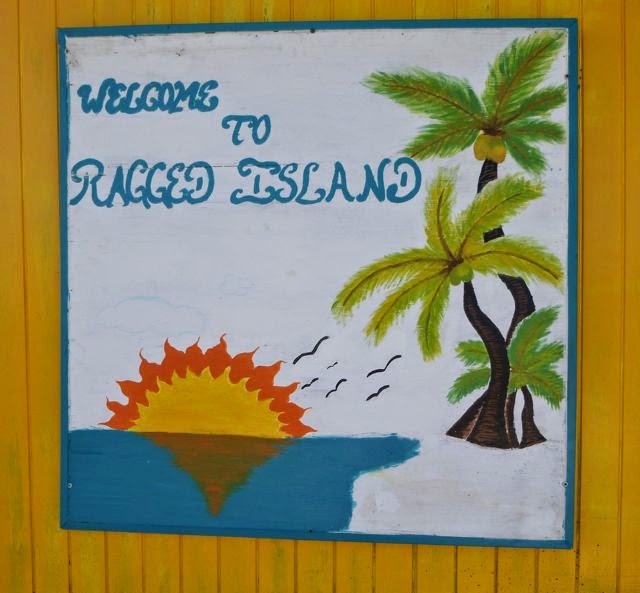 Ragged Island's airport baggage cart, however, has seen better days. As we sailed away from Warderick Wells in February, we heard a drama on the VHF radio unfold regarding a cruiser who’d lost their finger setting up for a mooring ball. 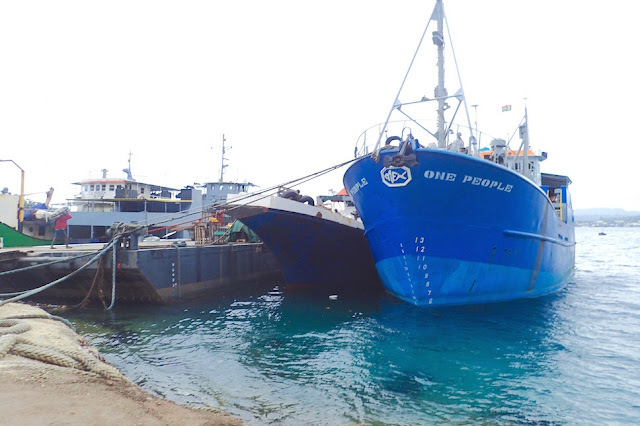 Ultimately, arrangements were made and transpired to get them from their boat to Norman Cay via fast dinghy, and then from the Norman Cay's private airport via air ambulance to Nassau. So while we’re betting the majority of the time tiny Bahamanian airports transport well-heeled vacationers and ex-pats about, from time to time transport serve a lifesaving function. 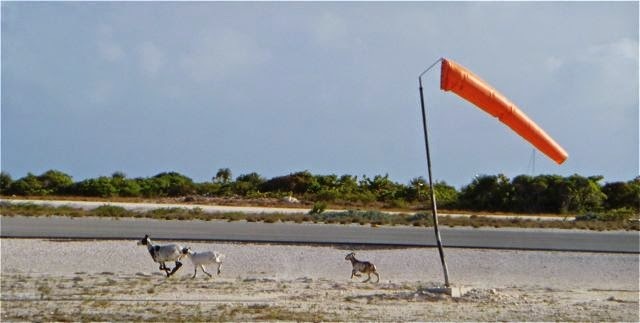 Goats hightailing it down the runway past the wind sock at Duncantown's airport. May we or you never need to need an airport for that reason in our cruising travels. We do wish we’d visited the Saba Caribbean airport the one day we blitzed that island last year. Saba’s a scrappy little Netherland’s territory island near St. Martin where when the locals are told something is impossible… they make it possible…. Ridiculously steep roads, and probably one of the most challenging postage stamp sized “airports” around. We hope someday to see it, and will be ever on the lookout for quirky airports wherever we travel. Are there any improbable airports you’ve witnessed or experienced? If so, please share! May 13, 2014 BAHAMAS. We're anchored off Treasure Cay, Great Abacos Island (N26.40.251 W77.16.922) to ride out some windy weather. Since the last post we've anchored in the Abacos Man O War Cay, Marsh Harbour, and off Great Guana Cay. Tomorrow we'll likely head over to Black Sound for 360 degree protection from the next rough weather front as we slowly exit the Abacos before heading back to the States. My iPhoto's in the process of recovering from a hiccup, so with a few specially pre-saved exceptions (like this post), any recent retrospectives between March and the very tail end of Eleuthera will wait until after our return to the United States and a little computer technical assistance.